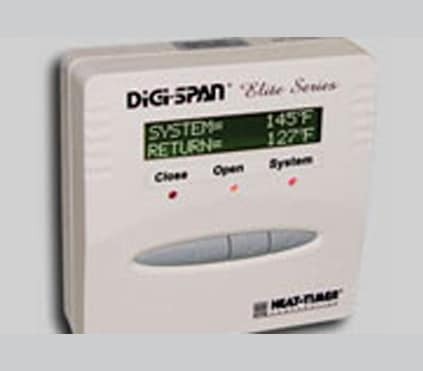 The Heat-Timer RSM is designed to control under slab heating systems used to melt ice or snow. It can be used in driveways, staircases, sidewalks, or other locations which must be kept clear on snow or ice. The RSM will activate the slab heating system when the outdoor temperature is low enough that ice or snow could form. 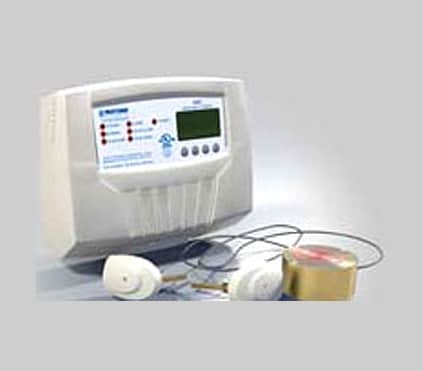 The slab temperature is controlled by monitoring the difference between the slab supply temperature and the slab return temperature, the Delta T. This Delta T is then used to regulate the temperature of the slab supply. When there is no precipitation, the RSM will remain in an idle mode, holding the Delta T which has been designed into the slab configuration. Once precipitation begins, the Delta T will increase as the slab will need more energy to melt and evaporate the moisture. The RSM will register the increase in Delta T and begin to increase the amount of heat going to the slab until the design Delta T is once again obtained. The maximum slab supply temperature is adjustable so the unit can be used on a wide variety of slab configurations, such as pavers, concrete, asphalt, or even bare ground. Note: The RSM comes complete with sensors. Download the RSM-Elite in Google Sketchup 3D format by clicking here.